The Illuminator LED grow light might just be the best LED grow light to cover your basic needs during your indoor grow process. It is capable of emitting light wavelengths that support both vegetative and flowering grow stages during a plants development and it is efficiently designed to fit into many indoor growing set-ups. It can be applied in hydroponic systems as well as agricultural and greenhouse light systems. It is efficiently designed and built and according to the maker, it is equivalent to a 400 watt HID. The good news though is that unlike the 400 watt HID, the 100 watt LED produces little heat and can save an indoor grower much more when it comes time to pay the electric bill. It is a 5-Band light design which means that it covers the photosynthetically active radiation range of light which is what research shows is best for plant development. Throughout the rest of this review, I will provide a comprehensive look at the Illuminator LED grow light specifications to help indoor grower decide if this light is the right light to fit their needs. My hope is that this LED grow light review can be used to help growers around the world find the best LED grow light for their specific growing situation. CE and ROHS Compliant – The CE (European Commission) mark allows manufacturers to circulate products and signifies that the products meet EU health, safety and environmental requirements that ensure consumer safety. The ROHS compliance mark means that, also known as lead-free, stands for Restriction of Hazardous Substances. It restricts the use of six hazardous materials found in electrical and electronic products. Efficient – up to 75% more efficient than HPS or Metal Halide grow lights. Environmentally Friendly – the Illuminator unit contains no hazardous materials. Bulbs – No bulbs to replace on the Illuminator unit which supports cost savings for the indoor grower. Heat output is significantly lower than other traditional grow lights, like HPS or fluorescent, which means that the thermal signature is non-existent. LED grow lights can be used discreetly compared to traditional grow light counterparts. 5-Band Tri-Spectrum LED technology delivers light wavelengths that support growth during all phases/stages of plant growth. Can save up to 75% more on electricity costs when compared to HID grow lighting systems. Visible light ranges from low blue to to deep red with wavelengths ranging from 380nm to 750nm. The wavelength range between 400nm and 700nm is the range of light wavelengths that research reveals is most effective at driving plant photosynthesis. This range is know as the (PAR) photosynthetically Active Radiation range. This range of light wavelength is very important for health and dense plant growth. The 100 watt Illuminator LED grow light emits a proprietary recipe of light wavelengths including red, blue and infrared. These wavelengths were included during the design of the light as they cover the “desirable” spectra that plants find beneficial due to key absorption points along the photosynthetic spectrum. In general, the absorption spectra of chlorophyll a and b extracts is why LED grow lamps are often engineered with blue and red LEDs. Chlorophyll a and b, as well as carotenoids, are the primary light harvesters in plants and they feed on the wavelengths in the blue and red region. This is why the Illuminator integrates this light type. The 5 Band Tri-Spectrum Proprietary Technology integrated into the Illuminator emits these desirable wavelengths that key on absorption points along the photosynthetic spectrum to excite the photosynthesis process. The Illuminator’s 5-Band Tri-Spectrum design of red, blue and infrared light delivers 95% absorbable light to plants. As a comparison, HIDs only emit about 15 percent absorbable light to plants. Blue- The royal blue range of light wavelengths promotes photosynthesis and encourages vegetative growth. These wavelengths support dense plant growth during the vegetative grow stage. Red (662+)- Red light is utilized to encourage blossom and fruit. Red light wavelengths help to maximize chlorophyll absorption and these wavelengths are necessary for the bloom stage of plant growth. The red range significantly supports plant photosynthesis and helps the indoor grower achieve a successful yield. Infrared- The IR range (730nm and beyond) is also part of the natural light spectrum emitted by the sun. It should also be minimally used as part of a full spectrum light recipe for plants. IR closer to the 730nm range can act minimally to excite chlorophyll production. Again, it is not needed in abundance but can support well rounded plant development when used proportionally in a broader light recipe as it is in the Illuminator. The Illuminator LED Grow Light is designed to emit red, blue, and infrared light which is research proven to effectively support both vegetative and flowering stages of plant growth. Cost savings on electricity usage compared to other traditional grow light systems like HID. Cost savings accrued since the need for a heat removal system like extra ventilation vents or cooling fans is not necessary with the LED grow light unit. Also, savings stem from the fact that expensive ballasts are not needed and expensive bulbs do not need replaced like in HID lighting. The Illuminator LED grow light emits 100 watts of total power which can be good for an indoor grower but not as desirable for commercial grow systems. Some users have also supplemented this light with the ProSource Flower Accelerator to optimize the flowering stage during plant growth. Risk Free Trial: ProSource Worldwide offers a 90 day risk free trial on all Illuminator LED Grow Lights. Basically, if your grow is not performing as it should, Pro Source will help. If a resolution is not found, Pro Source World Wide offers a 100% refund of the purchase price. Not all companies that offer grow lights also offer a 90 day money back guarantee and so the risk free trial provides security for indoor growers. 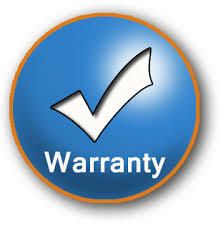 Warranty: ProSource Worldwide LLC offers a three year warranty that begins on the date of purchase. The warranty warrants that the LED grow light product is free of defects in material and workmanship and if a defect as this exists, Prosource will repair or replace he product as appropriate as determined by Prosource. 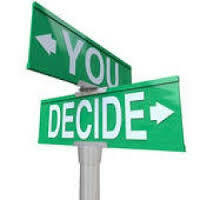 In order to obtain this warranty, the purchaser has to fill out a service request form to acquire a Return of Materials Authorization (RMA) number. This comprehensive LED grow light review shows that the Illuminator includes several potential points of interest for an indoor grower. As an LED grow light, it is generally more efficient and more effective than the traditional grow light counterparts. The LED grow light efficiencies can help to keep money in the pockets of indoor growers as well. So if you are considering the switch to LED, the technology is well suited for indoor growing. Additionally, the Illuminator LED grow light offers the patented blend of light that includes blue, red, and infrared to enhance PAR values. It is a grow light that supports both vegetative and bloom stages during plant development. Regarding expense, it is moderately priced for the power that it offers. It is not the cheapest around, but it is definitely not the most expensive either. This grow light could be beneficial to the beginner grower, or one that does not intend on growing too many plants at one time. I would not recommend trying more than about three plants at a time under this grow light given the power output. If this is your growing intent, then this LED grow light could be the best LED grow light for your situation. My hope is that this comprehensive LED grow light review will hep you to grow big at home!